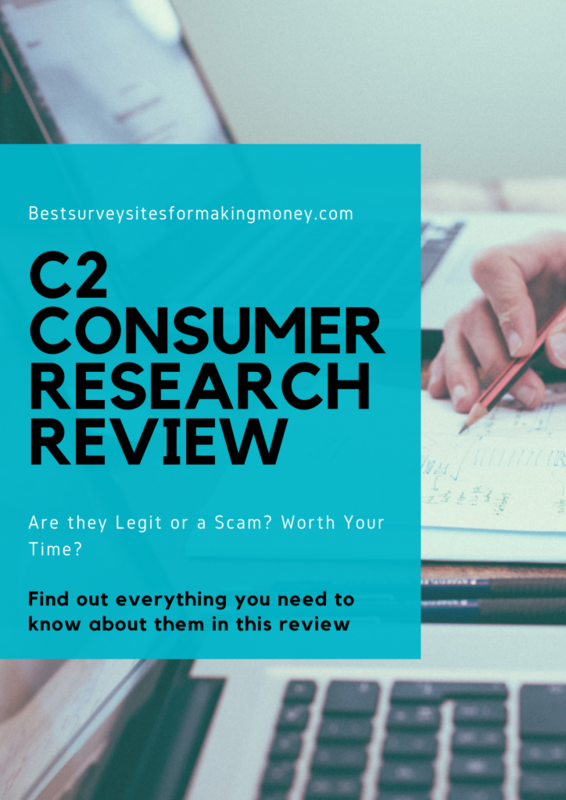 » C2 Consumer Research Review – Legit Or Scam? C2 Consumer Research Review – Legit Or Scam? Welcome to this C2 Consumer Resarch review where in this post I'll be taking a closer look at the company. Many people have come up to me asking whether I know this panel so I decided to check them out for myself. If you are looking to find out more information about C2 Consumer and what exactly they are about then read this review. What Is C2 Consumer Research? 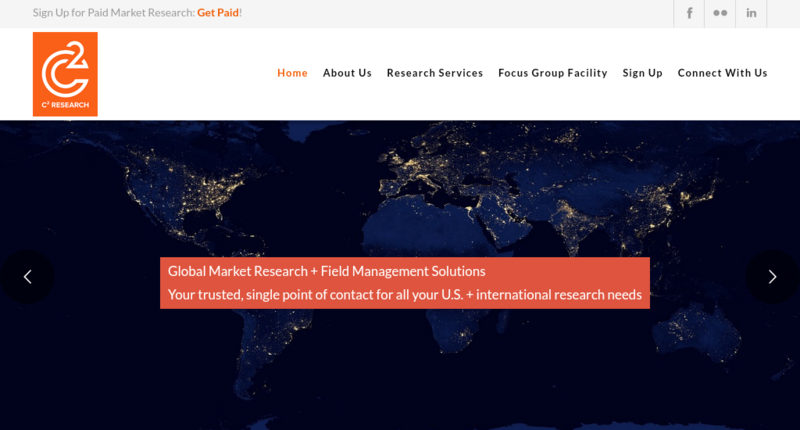 ​C2 Consumer Research is a market research company that claim to pay out people for completing different types of research tasks. These tasks consist of surveys, phone surveys and focus groups. If you join C2 you will be invited to participate in those kind of activitys. Just like any other survey panel the concept is similar in that for every task you complete you will be rewarded. Whether you get paid out straightaway or after you have done a certain amount of tasks (normally reaching a specific threshold) depends on the site. What's good with C2 that i found is that once you do complete a survey you will be paid out right away so there is no need to reach a certain amount of points. This makes it much easier to earn as once you have done just one task a payment can be sent. I've tried many sites that make it so hard to withdraw your earnings because they require so many surveys to be completed. The sign up process isn't as straightforward as most panels are. This is because the sign up process is slightly more long winded then most others. You will first need to go to the C2 Consumer home page where from there you will directed to the sign up page. You will be required to complete a survey otherwise known as a profile survey which is used to find out whether or not your the right fit to join there panel. This will take you roughly 15 minutes to complete. If you are the right fit for their studies you will either then be called or emailed. From what I have found this company as some quality reviews and feedback with most of them to do with the fact C2 pay very well. For most studies you will find that you can get paid between $75 and $200. With that said the amount you can get does depend on the length and topics of the survey. With other survey sites like Swagbucks and Prizerebel you will often need to check the site everyday to see what's new. When there's a new study that fits your profile C2 Research will contact you to let you know. As I mentioned earlier you will receive your rewards as soon as you have completed a survey. These earnings will be sent to your PayPal, which is an added positive as well. I always myself prefer to be paid by survey sites with PayPal as they are generally safer and quicker then other payout methods. While the training is of worth, a lot of the prices are over priced. ​Is C2 Consumer Research Worth It? Its safe to say and from what I've seen C2 Consumer Research is legit and has a number of good reviews to back that up. With regards to whether it's worth it is up to you. I have to say with the high paying surveys just completing one or two a month would bring in some nice extra income. What do you think to C2 Consumer Research? Have you tried them before or had any experiences? Previous Post MNOW Surveys Review – The Best Paying Medical Panel? Next Post How To Start Earning On The Side When You Have No Skills!